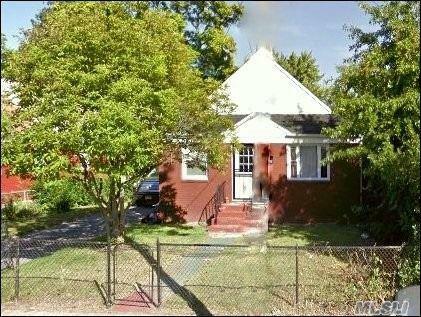 Solid 1 Family Cape Style Home That Needs Minor Tlc. It Features New Boiler And New Roof. First Floor Features Lr/Dr Shared With 2 Bedroom, Bathroom And Eat In Kitchen. 2nd Floor One Bedroom With Additional Room. Fully Renovated Basement With Outside Entrance Huge Back Yard And Private Drive. 8 Min Drive To The Long Island Rail Road West Hempstead Station And 1Min Drive To The Southern State. Listing courtesy of Exit All Seasons Realty.